Getting Your Correct info Fed to the Web! Now accepting Corporate Sponsors and Donations! Your donations are saving lives of great dogs. Yext is a search visibility tool that creates, updates and manages your listings across the web to provide enhanced search results. 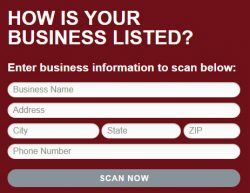 Test your business with the Power Listings Tools for free! Click here to see what your business looks like on the web! If you discover that your web listings do not reflect your business properly, you are in the wrong categories or your listings data is not up to date – we can help you correct all your listings across the web and create new listings monthly. New web links are fabulous for SEO, each new site you are placed on adds a quality back link and produces a web listing that will appear in search results pages! You have a home based business that needs listings but you do not want your home address to appear – we can suppress that information and still get your listings published to Maps! Topic: What is the “YEXT” step to improving Search Visibility? Now you can take the Youtube Marketing Class as a Webinar! Learn how to use Youtube for Organic and Paid Search Marketing! Learn to drive traffic for pennies a click!! Take the class in a fun 22 minute webinar and get all the details you need to get found with Youtube! 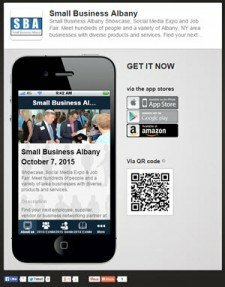 Next Classes at the Schenectady Chamber will be posted soon! If you would like to schedule an appointment to review your website just let me know! I am here to help you! Web consults are provided at no charge.